The owner of this website www.proega.net is PROEGA ENGINYERIA-CONSULTORIA, SLP (hereinafter PROEGA), with tax number (“CIF”) B-65599052, postal address c. Jacint Verdaguer, 16, office 4-5 -08500- Vic (Barcelona), telephone number +34 93 8857074, e-mail info@proega.net . Registered in the Mercantile Registry of Barcelona T. 42846, F. 197, H. B-415473. Access to this portal is free, it being understood that anyone who accesses or uses it acquires the status of User and accepts without reservation all these conditions. The User is responsible for the good general use of this web, its content and services, as well as the veracity and rectitude of the data that in his case must be provided to access them, being expressly prohibited all those activities that in each may be considered contrary to current legislation, reserving the owner of the web the right to prevent full or partial access to your website or any of its contents or services, as well as to take appropriate legal action against those who fail to comply with the provisions of these conditions of use, exempting the owner of the portal from any liability arising from actions taken by third parties, random acts or force majeure. Without prior notice, the owner of the web reserves the right to make changes and revisions deemed appropriate on its website, altering, adding, eliminating all or part of the content, services or design of the portal. The software, the design, the source code and all the contents of the web www.proega.net , such as texts, including legal texts, photographs, logos, trademarks, and other distinctive signs that appear in it, belong to the owner of the portal or to third parties who have authorized its use, being protected by the legislation of intellectual and industrial property. The use, reproduction, distribution, public communication, total or partial transformation of the contents of this portal or any other similar or analogous activity is totally forbidden unless expressly authorized by the owner of the portal. The license to use any content of this portal granted to the User is limited to the downloading of said content and its private use, provided that the integrity of said contents is maintained. It is expressly forbidden to carry out “framings” or the use of any other mechanism that modifies the design, original configuration or contents of the portal. The owner of the portal wants to respect the intellectual and industrial property rights of third parties, so if he considers that this site could be violating them, contact us through any of the contact details indicated in the section “Identification”. In order to facilitate access to Webs that the owner of the portal considers may be of interest to the User and whose ownership does not belong to him, links to them may be provided, without being responsible for the contents, the functioning of the linked Web, or of possible damages that could be caused by the access or use of the same, reason why the user assumes under his responsibility all the consequences even harmful that could derive from such access. The links of other websites to that of the owner of the portal is prohibited without prior authorization. In any case, the owner of the portal declines any responsibility for the damages that could be derived to the User for the access and use of the portal that would have provided the link. 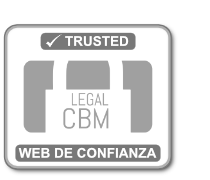 Spanish legislation will be applicable in case of conflicts that may arise in relation to accessing and using this website. Without prejudice to what is established imperatively for special cases and especially respecting the legislation of consumers and users, waiving any other forum that may correspond, the parties expressly submit to the jurisdiction of the courts of the city Vic.